AM I NEXT? 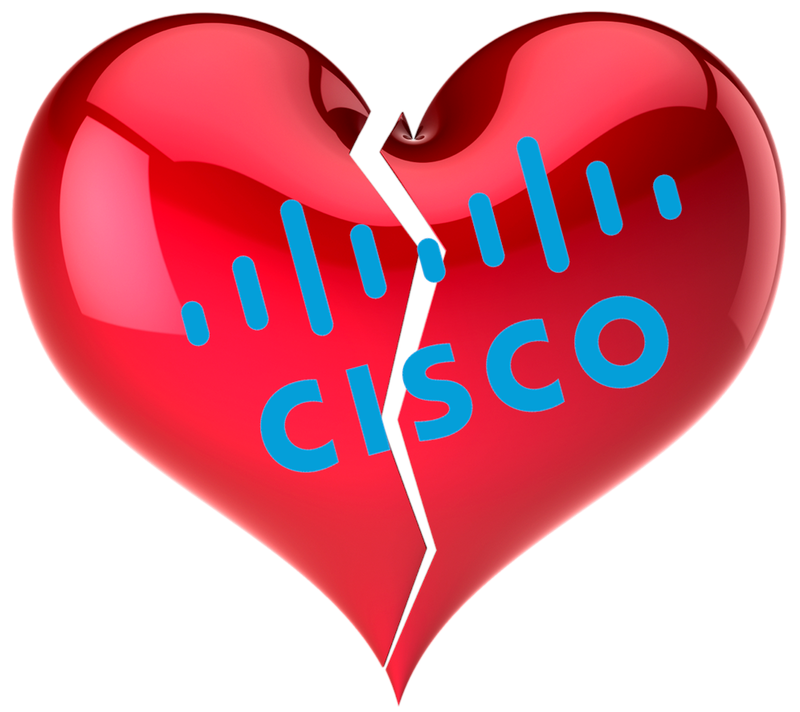 NO LOVE AT CISCO SYSTEMS — AM I NEXT? San Jose, California-based Cisco Systems, the iconic manufacturer of networking hardware and telecommunications gear, has announced that it will being executing an organizational restructuring, cost-cutting and consolidation effort resulting in the layoff of about 500 employees from their San Jose headquarters, Milpitas, California facility, and elsewhere. The layoffs include employees from product marketing, business operations, global architecture and technology services. According to Chief Customer Experience Officer Marina Martinez, “we have made the difficult decision to move forward with a restructuring that will affect some of our CX [customer experience] colleagues. Over the past 34 years, Cisco has established itself as a remarkable company by all measures. We’ve remained relevant and competitive because of our ability to adapt to the ever-changing needs of our customers. We now find ourselves at an important inflection point — one that calls us to, once again, evolve in order to stay ahead of the market. With that, comes changes in some parts of the company, including CX. CX is a people business above all else, and I have witnessed the phenomenal care that this organization takes of our customers and our colleagues. This will serve us well as we work through this season of change. You have my commitment that we will continue our culture of looking after one another." The customer experience group is primarily a sales support group dedicated to providing customer service with the end goal of getting enterprise customers to updating their systems hardware, software and renew their Cisco support licensing. Cisco is no stranger to mass layoffs with 5,500 layoffs announced in August 2016, 1,100 layoffs in May 2017, and 310 layoffs in September 2017. Which is not all that unusual for a company with approximately 70,000 employees worldwide, including 14,000 in California’s Silicon Valley.